Comparing specs and details is all part of the fun while choosing which Network Attached Storage (NAS) to buy. We know it’s a time consuming activity so we’ve created the compare network attached storage to make it easy for our visitors (and ourselves :)) to have a quick bird’s eye view on what are the common features and differences between each NAS. An example is shown above. 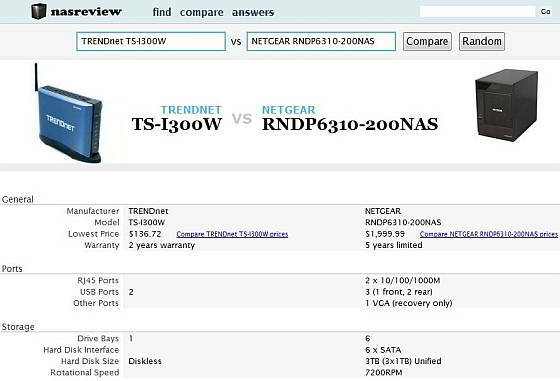 Check out this link for more nas comparisons.